You can't go wrong making this pizza either. 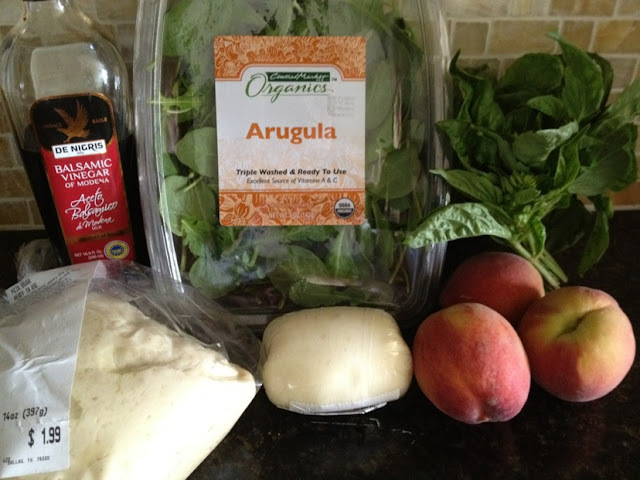 This pizza incorporates all fresh ingredients as you can see from the ingredient list below. 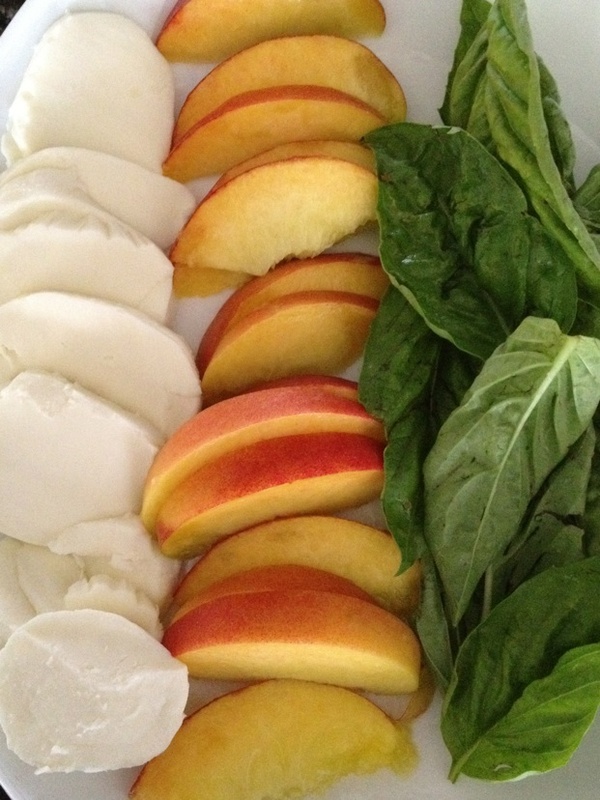 Slice your peaches, mozzarella cheese and basil. Spray your baking sheet with nonstick spray before adding the pizza dough. 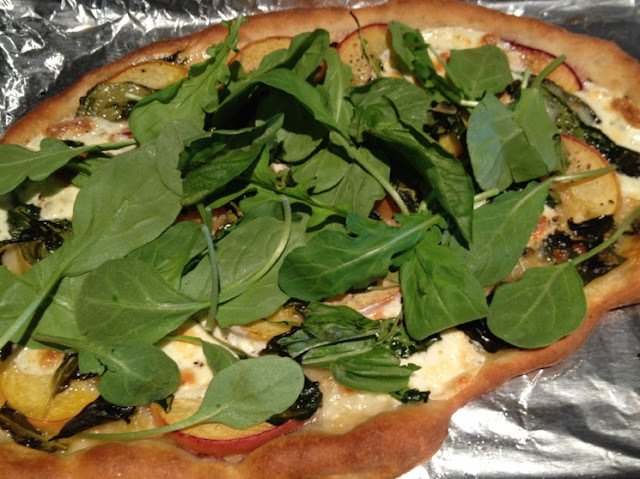 Roll out your pizza dough as thinly as possible without tearing onto the pan. Drizzle 1 Tbsp of olive oil over the pizza. 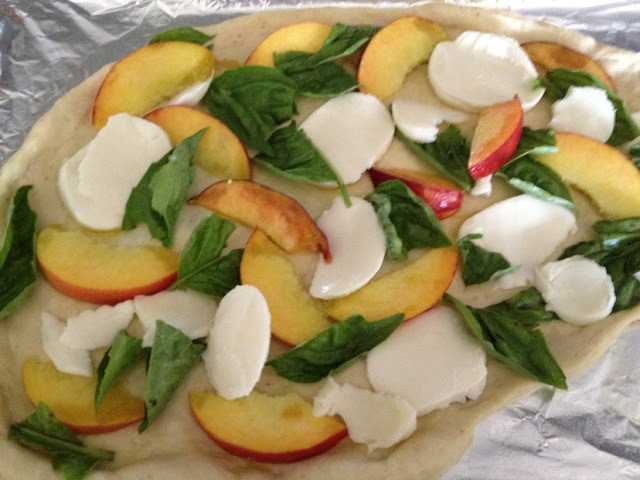 Evenly layer peaches, mozzarella and half the basil over pizza. Top with half of the arugula. Sprinkle with salt and pepper and drizzle remaining olive oil over the top. 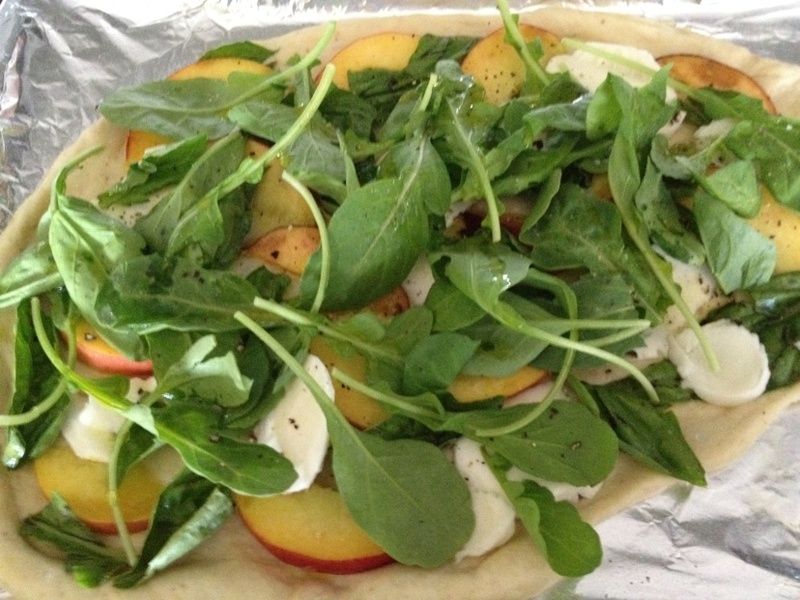 Bake for 15-20 minutes until cheese is browned and crust is evenly golden. Top with remaining basil and arugula and serve immediately!